Eminem took to social media to share a first taste of his video for “Venom,” which featured on his September album “Kamikaze” and appears on the soundtrack of the film of the same name. “They ain’t gonna know what hit ’em,” the rapper tweeted by way of introduction to the video snippet, which opens on a child walking down a city street. He discovers a cracked CD case, then throws the CD in his bag before hopping aboard a bus, where he begins to have a strange experience. 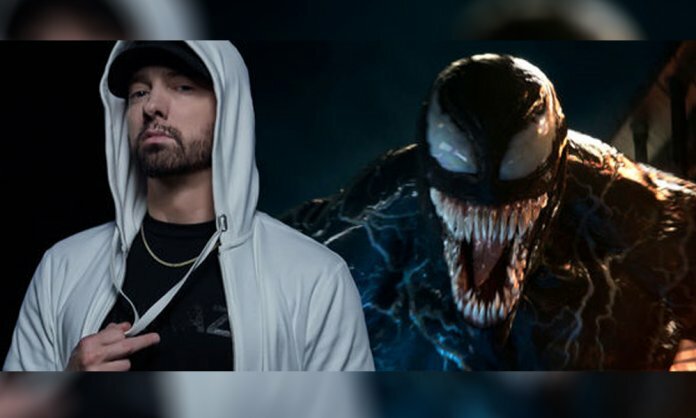 As Eminem revealed, the full video is set to drop on Friday at 1pm Eastern time. “Venom” the film is already out in US theaters and is rolling out to more territories over the coming week.